In April of 2008, the Northern New England Clinical Oncology Society embarked on a study to assess whether there was a disparity in cancer care delivered in rural and urban areas New Hampshire, Maine, and Vermont. The work undertaken here was to extend the findings initiated by the Maine cancer consortium. Clinical indicators of cancer care served as surrogate markers to look for discrepancies in care delivered in rural ar eas when compared to urban areas in colon and breast cancer patients. The three respective state cancer coalitions, registrars, hospitals, physicians, epidemiologists, and statisticians developed a working group that shared resources, streamlined data access, and developed uniform definitions so that almost 9000 patient records in 79 separate institutions could be closely evaluated. The ability to access data in such a large geographical area enabled a statistically valid comparison that would not be possible if it were confined to one state. 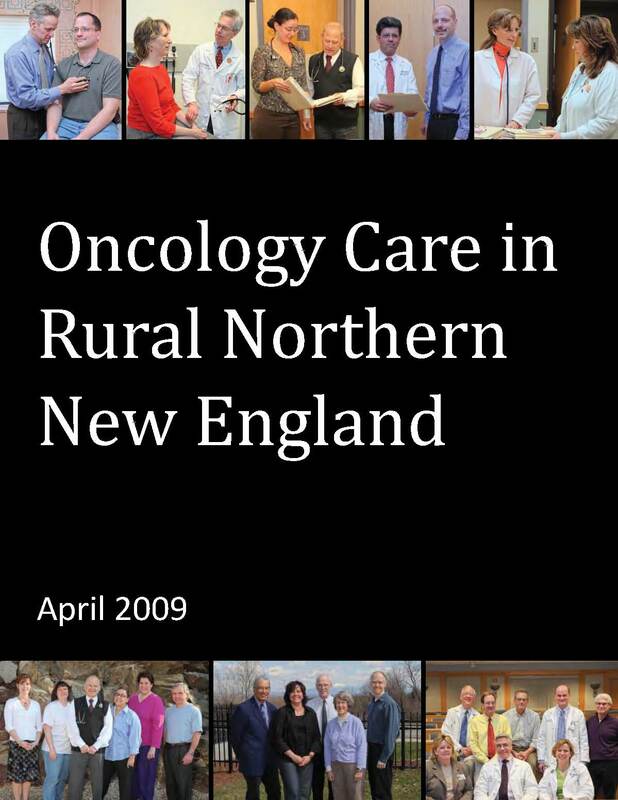 The goal was to take a snapshot of cancer care delivered in Northern New England (NNE) during 2003 and 2004. Evaluation of differences in care offered in rural areas could be assessed to identify needs and barriers that could be addressed. The results showed several interesting findings. Breast cancer patients in urban communities were diagnosed more often with non–invasive breast cancer than patients living in rural areas. This important finding may have several explanations including access and availability to screening, or ability to obtain or interpret biopsies in rural areas. Further studies will need to clarify this finding. Moreover, breast cancer patients in urban areas also had more sentinel lymph node (SLN) procedures than their rural counterparts. The SLN procedure was diffusing into the community from major teaching institutions in NNE and replacing the previous standard of regional lymph node dissection during this time. The ability to capture community acceptance/expertise of a new therapy, i.e. SLN, over time is also an important finding. It would be interesting to see how rapidly this (and other) new technologies are accepted and utilized in the rural community setting. Breast cancer patients undergoing SLN also received more post lumpectomy radiation therapy (RT) than patients who did not receive SLN. Even though no geographical variation between rural and urban areas was discerned, it would suggest that patients with access to a new technology also had easier access to RT. Defining variations in access to care therefore may be better measured if we looked at the difficulty patients may have in getting to the institutions where the care is delivered (i.e. driving times). The same issue was found to be true in colon cancer patients. Post operative chemotherapy is usually recommended in patients with Stage III colon cancer. A significantly higher proportion of patients received this adjuvant chemotherapy in urban rather than rural areas. The significance of these findings will require further testing and evaluation. One difficulty the working group faced was the retrospective collection of data and callbacks. The study captured one point in time and it would be important to capture these surrogate markers (or other relevant data) again to assess whether access to care in NNE is getting better or worse. Continuing to do this work prospectively will enable us to collect data in a scientifically valid and instructive way, and hopefully would give us an ongoing tool to clarify some of the issues noted here and find strengths and weakness in the fragile care network now in place. The map shown on page 8 illustrates accessible points into the system. Are these sufficient? Do we need more resources? Where? The answer to these questions will be critical if we hope to cure more patients with cancer. The development of new technology and therapy will not save lives if patients do not have access to them. The future will only improve if important tools to measure how we do over time are developed and that is and continues to be the major goal of this study. Before we can break down barriers to care we have to see if and where they exist. Read the comprehensive report here.